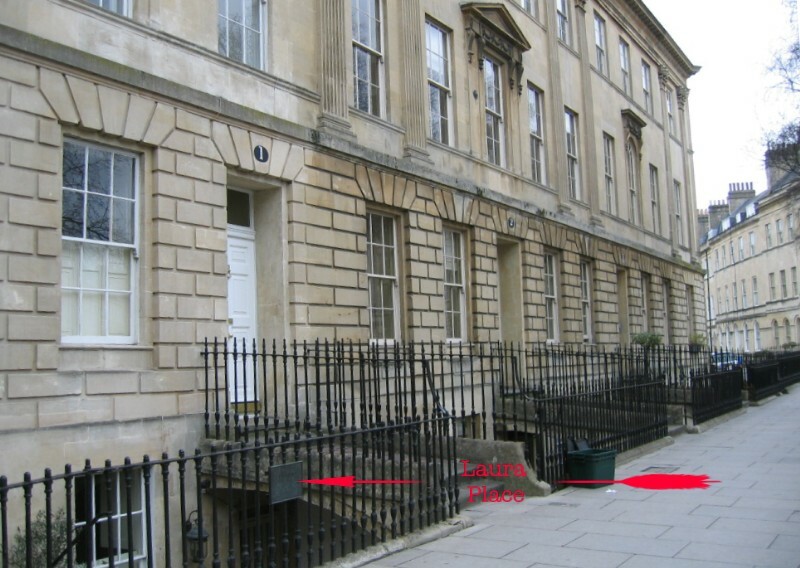 Laura Place is part of the Bathwick Estate, "one of the most impressive of all Neoclassical urban set pieces in Britain" [Forsyth 2003]. Laura Place is named after Henrietta Laura Pulteney, daughter of Sir William Johnstone Pulteney and Frances Johnstone Pulteney. Four streets join on the diagonals of Laura Place: Argyle Street, Henrietta Street, Johnstone Street and Great Pulteney Street. Where is it in Bath? 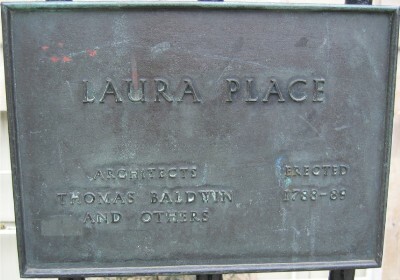 Laura Place connects Pulteney Bridge via Argyle Street to Great Pulteney Street. The whole estate lies to the east of the city centre on the far side of the River Avon.